Gender inequality is one of the most pressing global barriers to social and economic progress and to the fulfillment of human rights; because of this, achieving gender equality and preventing violence is core to Promundo’s mission. The politics gap: despite rapid progress, the gender gap in women’s participation in politics is enormous –larger than that of health, education, and economics – it will take 99 years to close. If we want to close these gaps, and to end gender-based violence and discrimination for good, men have a critical role to play. Men must work as partners with women to shift the social norms, structures, and policies which allow these inequalities to persist. 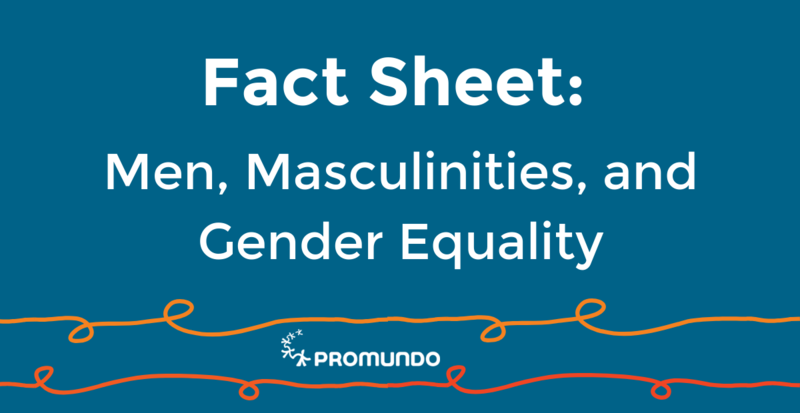 Promundo’s research – for over 20 years, and in over 40 countries – has provided critical insights into what men think and how they act when it comes to gender equality. So what does our global research tell us about men when it comes to gender equality? Even in most unequal settings, there is always a segment of men who support gender equality. For example, the International Men and Gender Equality Survey in the Middle East and North Africa (IMAGES MENA) found that although traditional attitudes about gender equality dominate, at least 1/4 of men hold more open and equitable views, supporting women’s economic, social, and political equality. More educated, urban-based men are more likely to support gender equality, but not always. Men who are supportive of gender equality are generally younger, live in urban areas, and have higher levels of education. Personal histories, family influence – including gender dynamics in the childhood home, and life circumstances – are among the factors that impact men’s support for gender equality. Gender attitudes predict behaviors, but not always. Men’s attitudes about gender equality matter, and may predict a range of behaviors, including use of violence, participation in care work, condom use, and receiving HIV testing. Holding harmful ideas about what it means to be a man, or being “in the Man Box,” is associated with perpetrating sexual harassment. A recent analysis of data from the US, UK, and Mexico found that men who held the most stereotypical ideas about what it means to be a man (who were the most “in the Man Box”) were up to 10x as likely as those with the least stereotypical ideas to have sexually harassed in the past month. Violence creates violence. Men who witness or experience their fathers use violence against their mothers as children are up to 2.5x more likely to use violence against a female partner later in life. Caregiving creates caregiving. Men whose fathers participated equally in care and domestic work are about 1.5x more likely to do the same, as those who did not have that example. Men (and their partners) in gender equitable relationships are happier and healthier. Gender equality benefits all members of the household: women, children, and men themselves. For instance, men who report being more involved in their children’s lives live longer, have fewer mental health problems, and report being happier than men who are not connected. There are promising solutions and levers to encourage men’s support for gender equality across a variety of entry points. Work to engage men in gender equality should be human-rights based, feminist-informed, and should work to actively challenge and change harmful gender stereotypes. Programming which is adequate in length, which provides opportunities for participants to identify and challenge harmful gender stereotypes and to practice new behaviors, can be effective at shifting men’s attitudes and behaviors in support of gender equality. 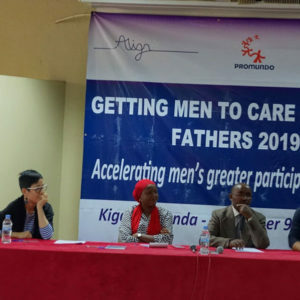 For example, Promundo’s group discussion programs with young men (alongside young women) – Program H – has been adapted across 34 settings with partners. 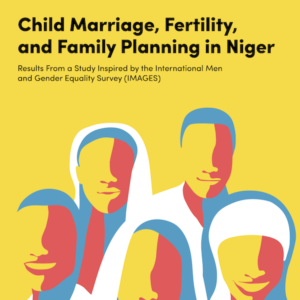 Evaluations have shown results from more gender-equitable attitudes and behaviors generally, to improved couple communication, reduced gender-based violence, and improved attitudes around caregiving. 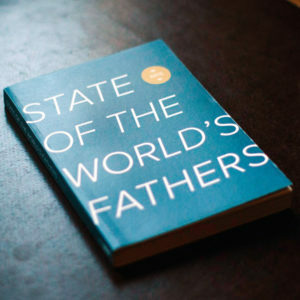 Working with men as fathers can be a key avenue for engagement to shift pressing norms around unpaid care inequality and other issues. Promundo’s program for new fathers and couples – Program P – has been adapted in more than 10 contexts. A randomized controlled trial recently found that men who participated in the program, nearly two years later, were using 40% less violence than those who did not participate, amongst a range of other positive outcomes. These programmatic efforts should be implemented alongside community campaigns, institutional partnerships, and local, national and international advocacy efforts to maximize their impact.